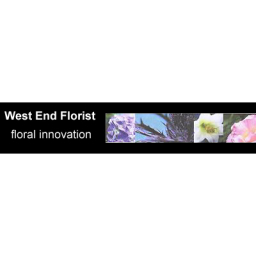 West end Florist is a fully licensed Interflora florist offering same day delivery in the u.k. Celebrate Mothers Day on Sunday 3rd April with flowers & gifts from West End Florist,Wakefield. We have a wide range of luxury Mothers gifts & flowers available including Roses,Lilles,exotics, chocolates,balloons,teddys including Tatty Teddy, champagne & fine wines. West end florist deliver daily to all areas of Wakefield & surrounding areas, including Walton,Crofton,Outwood,Horbury,Ossett,Sandal,Lofthouse,Oulton,Wrenthorp,Alverthorpe,Tingley,Rothwell,Middletown,Netherton,Bretton,Woolley,Crigglestone, New Millerdam,Stanley,Normanton,Heath. West end florist offer same day National Delivery in the UK & provide International deliveries online. Open Mothers Day Sunday for delivery & collection West End Florist is a long established company with an innovative approach to flower design. Our creative team of florists are highly skilled & imaginative, placing emphasis on quality & freshness, style & variety. We are also licensed to send alcohol with your gift !! Whatever & wherever the delivery is required you can be assured we can provide you with the perfect answer. Our mission at West End florist is to partner with you , with your requirements for, gifts, weddings, funerals, corporate events, births, christenings, birthdays, anniversaries, retirements&.or just to let someone know you care !! We can produce a variety of items e.g. gift wrapped bouquets, handtieds bouquets, posies, baskets, funky contemporary or traditional whichever you prefer - and also a range of gifts champagne, wine, sprits, teddies, chocolates, glassware. For more information please call 0800 3286054.